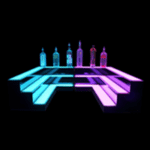 Most people visiting your establishment are looking for a memorable experience, and that’s where a lighted liquor bottle shelf can really -ahem- shine. Whether the venue is a frenetic party atmosphere or a chill kick-back at a lounge, visitors like to have every sense pleased. 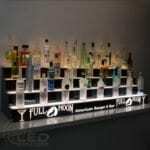 A custom LED display shelf really makes a popping show piece that not only shows off what delightful liquors you have to offer, it lets your visitors know they’re in for a good time as unique as the decor! 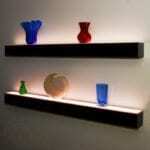 We’re proud to offer such a wide range of shelving options to fit virtually all needs. 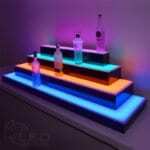 Choose from shelves measuring between 12 inches to a whopping 96 inches featuring one to five tiers! 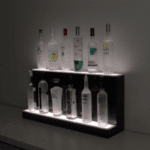 Each lighted liquor bottle shelf features scratch-resistant acrylic in a variety of laminate finishes to match your personal flair. 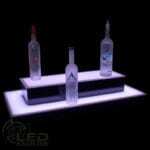 You can even add your own logo or text for that extra touch of personalization! 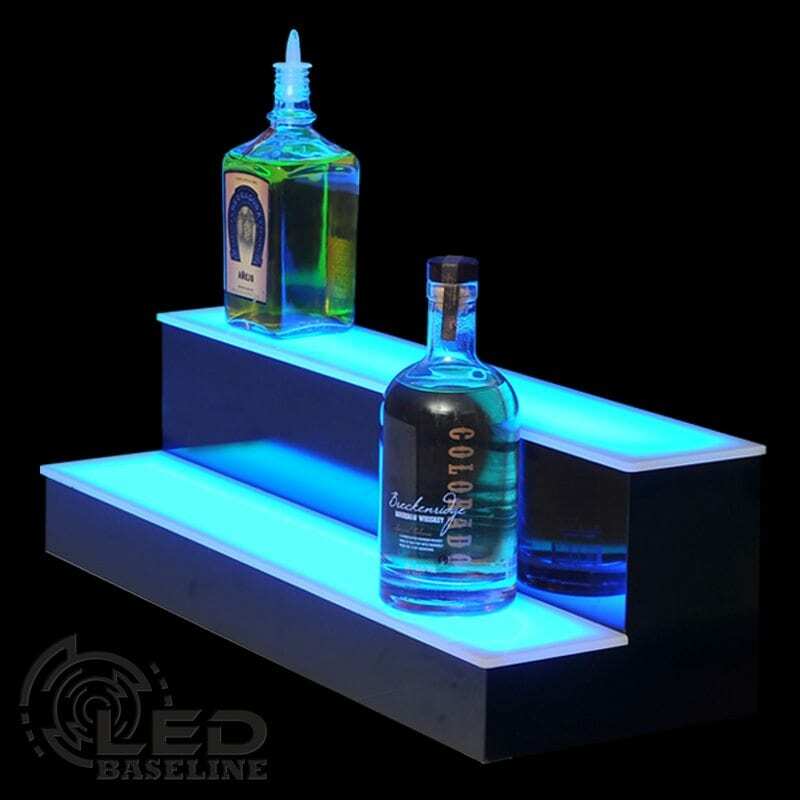 Every one of our color changing LED display shelves comes with a remote control that allows you to easily adjust your light colors, brightness, and even select fun configurations such as color fade mode. Placing your order is easier than mixing a margarita. 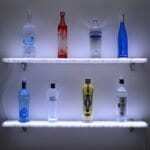 Simply select your desired type of shelf and choose the length, finish, type of mount, and add your logo design. 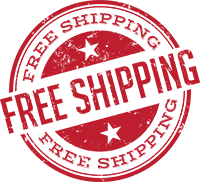 Checking out is super simple and yes, shipping is free! Soon your order will be delivered right to your door! 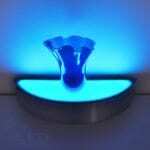 Have a particular need not covered by our standard order form? That’s great! 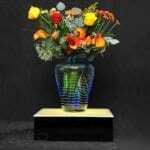 We love getting requests for custom dimension orders. 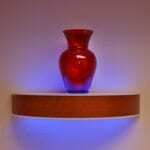 Give LED Baseline a call, send us an email, or use our handy website contact form to ask us any questions you have. 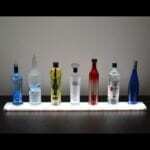 We’re dedicated to designing a perfect lighted liquor bottle shelf for you!